For business or pleasure, this high-quality and easy-to-use Full HD , 2.800 -lumen Portable projector works equally well at education environments or in the Meeting room . An WXGA, 2.800 Lumens Portable Projector with a vast range of adjustment, and BrightEra for higher quality colour and a longer lifespan. Optional ET-WML100 Wireless Module lets presenters share media from PC or mobile wirelessly to the big screen using Presenter Light software for Windows or Wireless Projector app for iOS and Android™ devices. Just insert a USB memory device into the projector and start projection straight away, without having to connect a computer. Image format support comprises JPEG, BMP, PNG, GIF and TIFF. Momentary power outages*1 or voltage drops*2 can cause conventional projectors to shut down, interrupting your presentation. Selected Panasonic projectors are equipped with Intelligent Power Management function, which controls the power supply to cope with power fluctuations*3, thereby maintaining image display. Unplug the power cord right after use thanks to the Direct Power Off function. An internal cooling fan continues operating after disconnection, using power from an internal supply, and automatically stops when the projector is sufficiently cool. 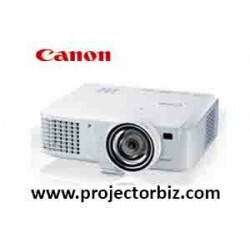 You can buy Panasonic PT-SW280A online in Malaysia on www.projectorbiz.com, the best price and after sales services.